The expanding future of America's only Karaite synagogue – J. Their past is rooted in a millennial-old schism over a rejection of rabbinic authority. 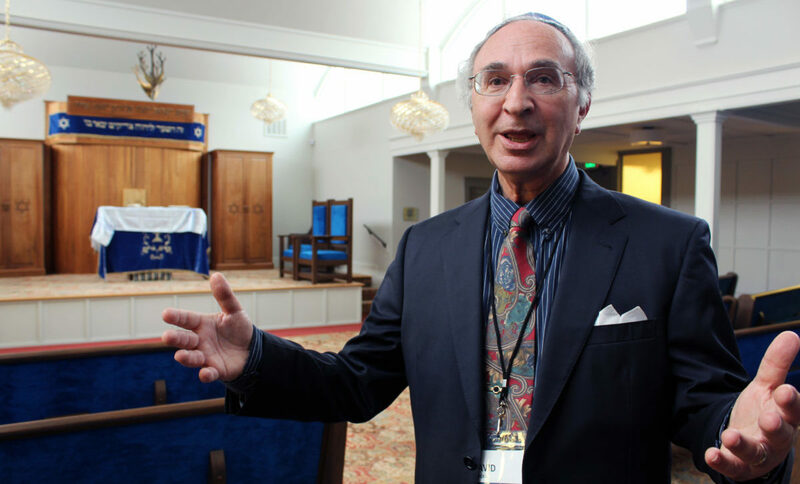 But the future of Karaite Jews is rooted in Daly City, where the little-known community recently completed an expansion and renovation of the only Karaite synagogue in North America. “It is thrilling, this achievement,” said David Ovadia, president of the Karaite Jews of America and the professional engineer whose hands and eyes were on even the smallest details of the construction. In 1994, the Bay Area Karaite community bought the Daly City building from an existing synagogue that was closing. The Karaite congregation adopted the name Congregation B’nai Israel out of convenience — it was already painted on the side of the building. When J. visited last year, the small prefab building was dingy and showing its age, with an inconvenient interior layout. Today the basic structure remains, but the sanctuary is brighter, with a newly dedicated library/classroom, an entirely new kitchen, and a new entrance that leads into a 1,000-square-foot extension. The extension is a Karaite cultural center, which they plan to fill with cultural and educational events that will strengthen the Karaite community and build ties with the wider Jewish community. Fundraising began in 2014, groundbreaking took place last year — and the whole thing was done more or less on time and within the $1.2 million budget. It’s a bright space, lit by a large skylight, but humble in size. The walls are adorned with paintings of Moses, people dancing with Torahs and biblical scenes. There are also display cases with artifacts from the community’s history, including socks and kippahs knit in captivity by Karaite men while they were imprisoned in Egypt. On Aug. 19, the new extension was filled with members of the Karaite community and supporters, friends and donors from around the Bay Area Jewish community for a celebration and a panel discussion of the future of Karaite Judaism in America. With about 100 in attendance, the space was bursting with people and energy. 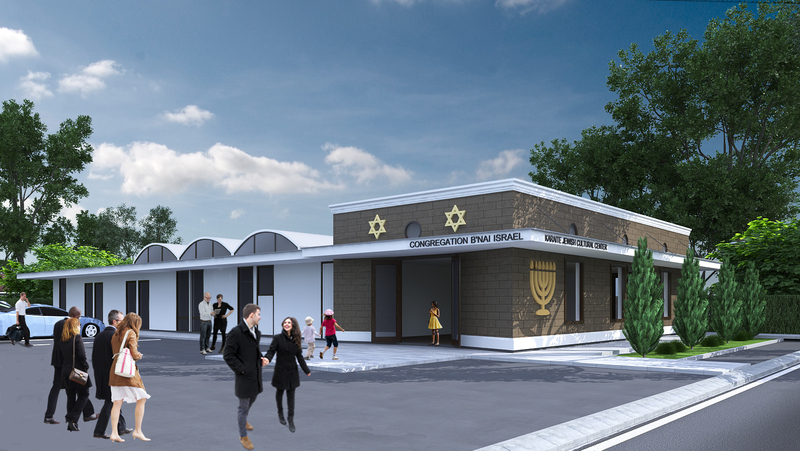 The project was Ovadia’s dream, but, he told the crowd, it would not have been possible without the fundraising expertise of his wife, Maryellen Himell-Ovadia, a longtime professional fundraiser, Ashkenazi Jew and former member of Congregation Emanu-El. Of all the names Ovadia called out for thanks and recognition at the event, hers received the loudest applause and cheers. The main event was the panel discussion, moderated by Himell-Ovadia and featuring American and Israeli Karaites. Before it got started, Rotem Cohen, an Israeli Karaite hazzan in town for the event, sang a couple of psalms — as well as Leonard Cohen’s “Hallelujah.” It was an unexpected musical choice, but it brought tears to more than a few eyes in the room. By the second chorus, many were singing along. Moshe Firrouz, the chief spiritual leader of the worldwide Karaite community, also came from Israel for the event. Though Karaite Jews reject rabbinic authority, including the Talmud, some refer to Firrouz as Rabbi Firrouz or Rav Moshe. Speaking on the panel, Firrouz emphasized the importance of Jewish unity, while maintaining different identities within the whole. “We are all one Jewish nation, but each community wishes to keep its identity,” he said. “Each person must choose how to act.” This is reflective of the Karaite ethos of personal decisions within a cohesive community. Also on the panel was Shawn Lichaa, 39, born and raised in the Bay Area Karaite community. The founder of the Karaite Press, Lichaa is the foremost public exponent of Karaite Judaism in America. He hopes that Karaite Judaism will come to be on the menu of mainstream Jewish options in America, alongside Reform, Orthodox and others. Indeed, a number of “internet Karaites” were at the event, including a few who converted to Judaism through the Karaite community. There are a number of converts to Karaite Judaism around the U.S., particularly in the South. One, Travis Wheeler, the only Karaite shochet (ritual slaughterer) in America, lives in Georgia. Wheeler became a Jew through the Karaite community in 2009. He visits Daly City a couple times a year, and was excited to be in town for the dedication of the new expansion. He said Karaite Jewish rules around ritual slaughter are more strict than Rabbanite rules. (Karaites call mainstream Jews Rabbanites.) Thus, he said, with little call for it, the market for Karaite kosher meat is “very, very small.” He is, however, doing a growing business among Orthodox Jews. The overall spirit at the event was one of optimism and excitement for the future. “I see, rather than obstacles, opportunities,” Firrouz told the crowd. There were plenty of supporters from other streams of Judaism in evidence, including a group from Peninsula Sinai Congregation in Foster City. Peninsula Sinai hosted the Karaite community’s events years ago, before the Daly City building was purchased, and again over the past year during construction. Rabbi Corey Helfand received a plaque thanking his congregation for its help and friendship. 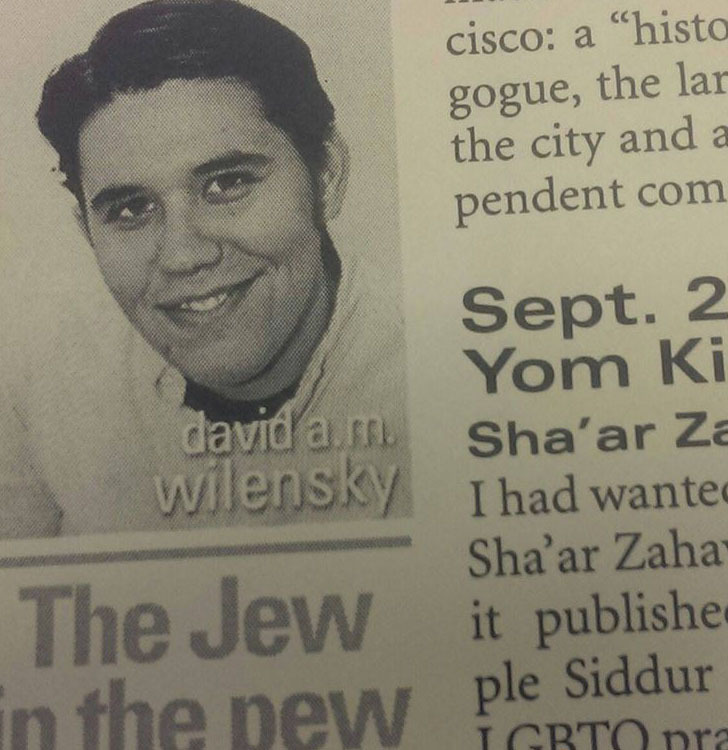 David A.M. Wilensky is the online editor of J. and "Jew in the Pew" columnist. He can be reached at david@jweekly.com.